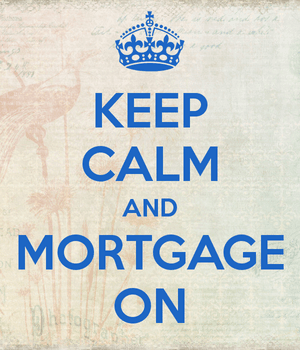 Wondering if it makes sense to refinance your mortgage? Check out the refinance calculator below to determine the potential savings (or lack thereof). Believe it or not, it doesn’t always make sense to a refinance a home loan, even if mortgage interest rates are stellar. One must consider the cost to refinance, along with the expected tenure in the property. If you plan on staying put in the home for life, you still must determine if the loan is a keeper long term or just for a little while. Let this calculator do the heavy lifting so you don’t have to. It’s probably better that you do the calculations as opposed to an interested party, who only gets paid when you refinance! To start, enter your original loan amount when you first took out your mortgage (not your current lower loan amount) and the original loan term. For example, a 30-year fixed mortgage has an original term of 30 years or 360 months. And if your original mortgage was for $200,000, enter that number, not what the outstanding balance is today. Also enter the date you took out your current home loan, which is important to determine the current loan balance, the potential savings, and the closing costs on the refinance loan. Next, enter your current mortgage rate, not the interest rate you hope to receive by refinancing your mortgage. The section below that details the proposed refinance loan, including any cash out you’d like to take out on top of your existing loan balance (optional), the new mortgage rate, any mortgage points you must pay for that rate, other closing costs, and finally the new loan term. If you aren’t paying points, simply enter 0. Same goes for fees. This might be the case if it’s a no closing cost refinance where all costs are absorbed via a slightly higher interest rate. And if you’re simply refinancing your mortgage into another 30-year mortgage, keep the default 30-year setting (or 360 months). If you want to refinance into a shorter-term loan, such as a 15-year fixed, you’d enter 15 years or 180 months. The tax bracket and savings rate information is optional, but it will give you a better idea of actual savings taking into account the deductibility of mortgage interest and the rate of return of your money. Finally, enter a ballpark figure for how long you plan to keep the property or the home loan itself. Put simply, the less time you keep your mortgage, the lower the savings will be. After all, the savings grow each month you pay less money on your mortgage payment. Once calculated, you will see the monthly savings via the lower interest rate and the break-even period, which is when upfront closing costs are recouped via lower mortgage payments. It’s essentially how long you need to stay in the loan to actually save money. You can also tick the graph or payment schedules to see more details and full loan amortization.